Web application penetration testing is a well researched area with proven tools and methodologies. Still, new techniques and interesting scenarios come up all the time that create new challenges even after a hundred projects. In this case study we start with a relatively simple blind SQL injection situation and show how this issue could be exploited in a way that made remote code execution possible. The post will also serve as a reference for using Duncan, our simple framework created to facilitate blind exploitation. For efficiency I defined a custom charset and defined a maximum result length based on previous tests – it seemed like the application stores the MD5 hashes of passwords in hexadecimal form. I could successfully retrieve the password hashes of some interesting users and also fetched my own to test if there’s some twist in the password storage implementation. It seemed like there was: I tried numerous combinations of my password, username and related data, but I couldn’t reproduce the hash I retrieved from the database. I had to go deeper! It was rather obvious that there was some salt involved in the password hashing process, but I didn’t know anything about it. 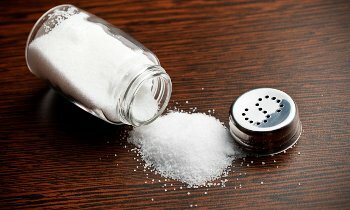 It could be a prefix salt, a postfix salt, some cascaded hash construction (like MD5(MD5(password)||salt)) and there was no way I could guess what it was. But fortunately I remembered an article I read some time ago: Aaron Devaney of Context described how to use database metadata to SELECT the currently executing query – he called this technique SQL inception. There was a chance that the hash was calculated by the database and not the application, so if I could capture a query that sets hashed passwords I could learn how the hash is generated. Although the administrative interface of the application didn’t turn out to be that interesting I could use one of the cracked passwords (and the user enumeration feature of WPScan) to access the administrative panel of a WordPress blog that was also in scope. In WordPress administration I placed a backdoor to one of the PHP templates so I could achieve remote code execution with the privileges of the web server. * Acutally I could exploit parallel execution to retreive pieces of an UPDATE while I was injecting to another query, but this would’ve made exploitation much less effective. In this blog post we showed how the SQL inception technique described by Aaron Devaney can be used to solve a practical problem during penetration testing, and how one can fine-tune the process for optimal results with Duncan. We’d also emphasize that password management and storage is still a major weakness of simple web applications and complex corporate systems alike. Use parameterised queries or ORM for database access. You should never construct SQL queries in your application by hand in 2015. Use a modern key stretching algorithm for password storage. Although Bcrypt, PBKDF2, Scrypt and yescrypt have different properties, from a practical standpoint they all raise the bar for attackers significantly. MD5 and SHA-* weren’t designed for password storage but for efficient fingerprinting, so they can be efficiently brute-forced as well. Use long, unique salts. Most algorithms mentioned in the previous point take care of salting for you. The security of your systems shouldn’t rely on the secrecy of the salts (or the algorithms in use). Use an offline password manager. Never use the same password for different systems. If you have to remember your credentials by heart, use long passphrases instead of traditional passwords. Teach your users to do the same by enforcing a password policy that favors long passwords instead of complex ones.